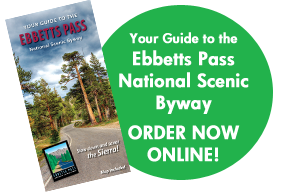 The Byway’s online store features shirts & sweatshirts, prints, bottles, totes and more! Below are the logo designs that are featured. 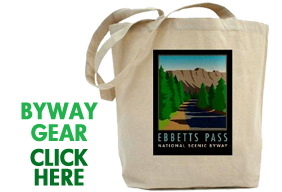 Please select a logo to enter the store, or CLICK HERE to view all of the items in the Ebbetts Pass Scenic Byway Store. NOTE: You will be able to view the whole store at any time during your shopping trip!